It’s only February and we just came back to work from a huge reset. Our annual BGR! 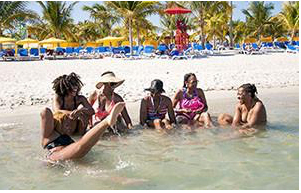 Cruise with Run For Fun Cruise Tours. 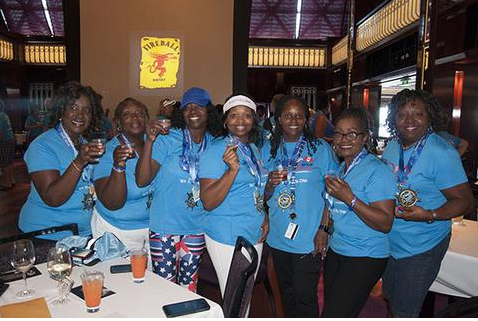 Now, you may think there’s no way that a running cruise could possibly be relaxing or the ideal way of resetting, but we beg to differ. In fact, I think it’s the perfect blend of keeping up my fitness, while scoring some ultimate “me time”. But, before I dive into why this particular trip was so awesome for me personally, let me share a little bit of background for those of you who have been sleeping on the BGR! Cruise. Ashley and I love to travel. In fact, besides running, it’s one of the things we do best. Particularly, if that said travel has anything to do with warm weather and sunshine. 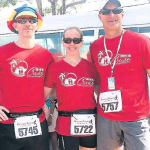 A few years ago, we began to wonder if there was any way to merge the two things we loved most….travel and running….and give our members an opportunity to run in some of the most beautiful and exotic places in the world. 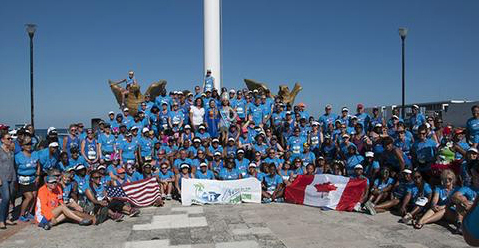 It wasn’t long before we found Run For Fun Cruise Tours (or rather they found us), and they made our running dreams come true. Last year we went on our first BGR! Cruise with Run For Fun Cruise Tours and we had an amazing time. It was very clear to us that this was something we wanted to continue to do. Fast forward to our most recent BGR! 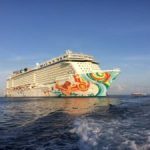 Cruise aboard the Norwegian Getaway, and we’re already looking forward to 2018. It’s hard to say what the best part of cruising with BGR! and the Run For Fun Cruise Tours is. I’m not just saying that because, I’m the co-founder of BGR!, but truly this trip is something special. But let me tell you, it’s true. From booking the trip to the last day on the ship, there’s a personal touch that is so nostalgic that it DOES seem a little hokey, but the RFFC team is SO genuine and sincere. When you book the trip, Craig & Kim (Craig’s wife), literally adopt you as family. I never had any questions or any worries about the trip. And every day that I saw the duo on the ship, they checked in and made sure everything was okay. Even as I’m writing this, it’s hard to explain and I’m really not giving it justice. Just think of when you were younger and your parents did all the work of planning an amazing trip and each day left you sleeping with a happy grin on your face….this is what it feels like. CONS: For the most part booking a cruise is way different than booking a resort, hotel and/or flights. The good news is that Kim takes care of it all for you. The bad news? You actually have to pick up the phone to talk to her. For someone like me that’s used to making things happen with a click of a button (and who also hates to plan travel), it can be kind of annoying to have to pick up the phone and discuss cabin and pricing options. Not the worst thing, but it does feel a little….different. PROS: If you decide to run each day or once during the week, it’s totally up to you. There’s no group think pressure to complete each run, which really takes the pressure out of things. Also, YOU CAN WALK!!!! Runs range from a few miles to a 5K, so we’re not talking about anything too intense. Just want to relax on the beach all day or explore the port? You’re free to do that as well! CONS: Time is of the essence. 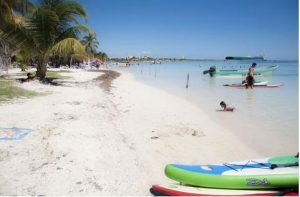 Because the group needs to be some of the first passengers off of the boat to take advantage of the entire day, call times can be pretty early (according to typical vacation standards), and there can be a lot of hurry up and waiting. (Keep in mind there are literally thousands of people trying to get off of the boat at the same time, so patience is absolutely necessary). Most days we met at 7 a.m. for a daily briefing with time to grab breakfast and slather on sunscreen before we actually got off the boat. 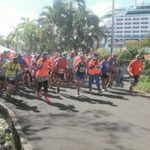 PROS: From running through the streets of Jamaica to trail running through the jungles of Honduras, one thing is guaranteed, you’ll never experience any type of running event like this anywhere else. I’ll put money on that. One of my favorite runs from this year’s cruise was a 3 mile trail/adventure run in Roaton, Honduras through the jungle. There were obstacles along the way (mud pits, climbing wall, tires, etc.) with two difficulty level options. One, the extreme (which I did) was a 1/2 mile trail that you had to ascend using ropes. The other, not so extreme route was a very, very tall hill. Challenging? Most certainly. Rewarding? Absolutely. CONS: Although Craig and his team prep you as much as possible for what lay ahead before you sail, you still never know what you’re in for. However, each run is totally accessible to all fitness levels. Keep in mind these are FUN RUNS. There’s no official timing or race cut off times. On the extreme route I chose in Honduras, a BGR! member and I stayed together until we made it to the summit of the hill (which had a beautiful vista of the island). She is 61 years old. So….you can totally do it. Also, remember when I mentioned the whole “hurry up and wait” to get off the ship. That paired with transportation, might mean you are running in some pretty hot temps. However, hydration is never a problem and water was always available/accessible. PROS: For hubster and I, it’s one of our big trips of the year, but for next year we’ve invited our parents and Ashley is considering bringing her daughter Olivia next year. If you’re worried about riding solo, consider bringing your friends, family and/or sidepiece along. If they want to run, awesome! If not, Craig and his team provide helpful information to ensure they have a great time too! We’re even hoping they offer a friends and family package next year to make it even easier for the non-runners to tag along on the running adventure (obviously without the running). CONS: No cons here. This trip is great for all ages and fitness abilities. There is SO much more that I could talk about, that I think I will write part 2 later this week. Ashley & I have already booked our trips for next year and would love to have you join us! YOU MUST TALK TO A REPRESENTATIVE TO GET SPECIFIC PRICING INFORMATION. It’s only $250 to reserve your room. Deposits are fully refundable through October. Please note that the run package must be purchased separately.